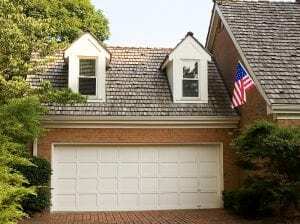 For a garage door company that you can trust to expertly install a door that helps improve the curb appeal of your home in the Dayton area of Ohio, turn to 31-W Insulation. We pride ourselves as a family-owned and -operated business that always has its trusted employees perform each installation rather than hiring subcontractors. This helps us ensure accountability and adherence to high standards of customer service. And, since we’ve been performing home improvement installations since 1972 and hold an A+ rating with the Better Business Bureau, you can be sure that we have the experience to treat your home with the respect it deserves. Our doors are made by Amarr®, a trusted manufacturer in the industry, which means that they are built to be as functional and durable as they are beautiful. These doors are constructed from heavy-duty materials with wind-resistant designs, insulation options, and state-of-the-art safety features, and they come backed by some of the best warranties in the industry, many with lifetime terms. If you’d like to find out more about what makes us the Dayton, OH, area’s premier garage door company, contact 31-W Insulation today.